The following is a guest post from Angela Cox, a graduate student in English at the University of Arkansas. You can follow her on twitter at @KQscholar. She previously wrote for Play the Past on Space Quest. 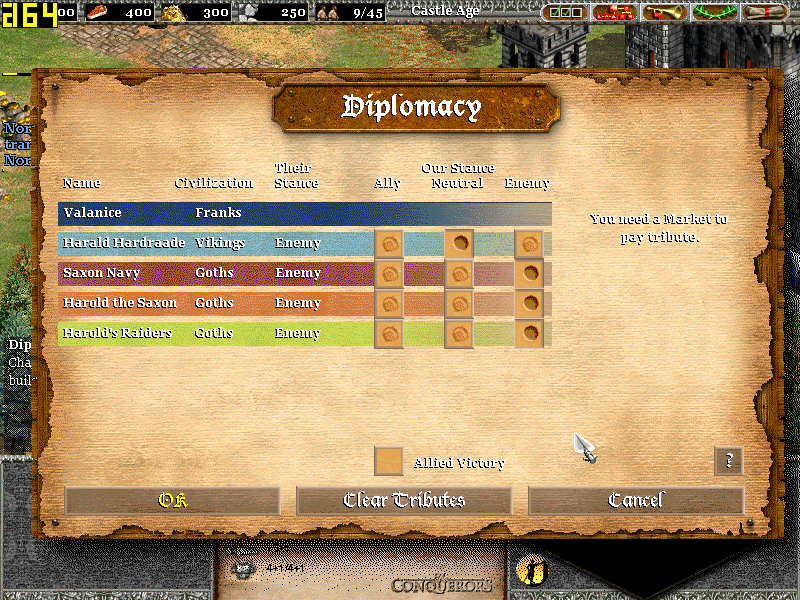 The very title of the Age of Empires series invites postcolonial readings. Reading real-time strategy (RTS) games from postcolonial frames is nothing new: on this blog, for instance, Trevor and Rebecca have both discussed Colonization; in the journal Game Studies, Tuur Ghys has suggested that, as a genre, historical RTS games tend to reduce history into a consistent progressive narrative of determinism. Age of Empires II: The Age of Kings and its expansion The Conquerors is complicit with colonial interests in the usual ways: gameplay includes the same sort of technology trees employed in the first Age of Empires game, which Ghys examined in detail, and the conquest-centered gameplay celebrates the colonizer’s perspective over that of the colonized. However, I want to use an extension of postcolonial theory, and argue that not only does Age of Empires II (AoEII) position itself clearly in a Euro-centric perspective of the past, in so doing it also inscribes present identities onto past identities, constructing past peoples as a cultural “other” in the same way that synchronous societies can construct each other as “other.” In the present time, we have consistently constructed the period we call “medieval” as an other to our modernity, just as during the time of the British empire the so-called “Orient” was constructed as an other for the West (see Edward Said’s book Orientalism). This “othering of time” often seems victimless, but it often perpetuates old stereotypes and colonial damage under the guise of research and historicity. In AoEII, the othering of time, which constructs in the game a timeless view of the “medieval” that is familiar in its construction to the conventional setting of many fantasy and historical narratives, is perpetuated largely through two mechanisms: tokenism and the deployment of uncritical research to establish authority. Tokenism here means creating a display of multiculturalism and cultural sensitivity by including surface features from a number of cultures, but failing to engage in the complexities of cultural interaction in a meaningful way. In AoEII, this appears in the seemingly diverse list of civilizations that the player can choose from, but which make only minimal impact on gameplay—each civilization comes with a token special unit, a civilization bonus of some kind (the Celts in AoEII, for instance, retain sheep more easily, playing into countless stereotypes about Celtic cultures and their relationships with sheep), and, in later ages, customized appearances for buildings. Aside from the language in which units respond, though, there is no noticeable difference to the player if he starts the game as the Britons or as the Japanese. Ttokenism can be dismissed by arguing that the need for “balanced” play between the civilizations (and for streamlining the amount of data in the game) outweighs the need for nuance and results in a template civilization with small customizations. The game compensates for this in the written documents that accompany gameplay—in narrative introductions for scenarios, for instance, or the history section accessible from the main menu that allows the player to read up on (the game’s interpretations of) the history of each civilization and on “medieval” culture and warfare in general (by which the game generally means Western European). These displays of research establish AoEII’s authority; the game trades on historical simulation for appeal. But all this historical matter is presented uncritically, without citation or acknowledgement of debate, giving the impression that the history is undisputed fact, common knowledge, and exists without cultural imprint. It is an authoritative voice in the game without apology. Such a presentation works, though, because popular culture values that the research is displayed in such a game; the audience of the game does not value the same trappings that academic history would be presented with. This is an environment where historical material is not sorted or criticized, but merely amassed into a clear narrative. What is valued is the wealth rather than the quality of the research, the presentation of it rather than the provenance of it. The tokenism and display of research serve in part to recognize that there are distinctions between the civilizations represented in AoEII and its expansion, but at the same time erase certain cultural identities. In particular, by using the Britons as to represent any of the various peoples who could, at various times, be called British, the game effectively erases the identities of those that have historically been marginalized in Great Britain. The game further erases cultural distinctions in having most of the human units look the same (see Figure 4). Buildings all look the same in the “Dark Age,” suggesting that there are primitive phases in every society that are culturally identical—or even completely without cultural identity. This, in turn, suggests that civilizations that have not “advanced” (as the game calls it) to at least what the game considers the “Feudal Age,” according to the games deterministic sense of history, have no culture to speak of. In the later ages, buildings have distinction, and the technology trees open up special units for gameplay according to the selected civilization, but even these distinctions are severely limited. There are not as many visual customizations as there are civilizations, so that the buildings in some civilizations are identical to those in others. This can be particularly egregious when the game groups civilizations together that, in actual history, have contentious margins in which there is cultural conflict. For instance, the Japanese, Chinese, and Korean buildings use the same sequence of visual development, erasing distinctions between these East Asian cultures, as do the buildings for the Britons and the Celts—both of which take a strikingly English appearance (see Figure 4). 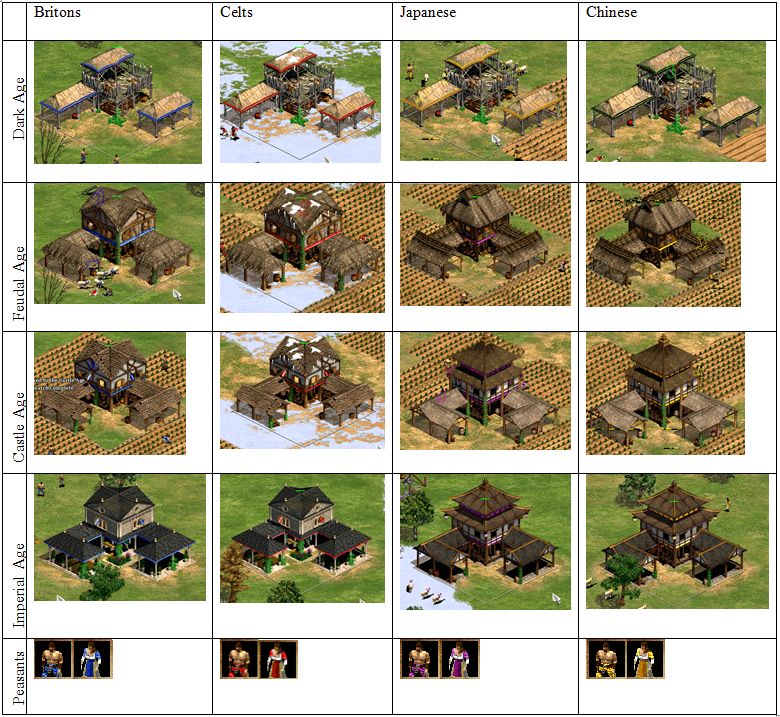 Figure 4 – A comparison of the town center building and peasant units in four selected civilizations in AoEII. Note that the snow effect is an artifact of terrain effects, and the colors are artifacts of player positions. Additionally, each civilization’s units respond in spoken languages that are intended to be characteristic of the civilizations being played. These are mostly modern languages as now spoken in the regions that the civilizations are supposed to have occupied. Thus, the Franks speak modern French, a romance language, even though they are, in many instances in the game, intended to represent the Germanic Franks. Although the Celts are called upon to represent the Scottish in the campaigns, they speak modern Irish, conflating the group of cultures that we now call Celtic. The exception to this modern language according to geography paradigm is the Britons. Because the game is set in a medievalized setting, it might break the suspension of disbelief for these units to respond in modern English, and the game would risk casual players accusing it of not having done research. To compensate for the problem of the popular conception of historicity, the game has them speak, according to a Microsoft website, Middle English—which is here a mix of Old English, Latin, and Middle English (or Anglo-Norman). This portrayal is especially problematic because the term “Britons” does not properly refer to the people who spoke Old English, which would be the Anglo-Saxons and who (as the history section of the game acknowledges) came to Britain later than the Britons; Middle English is the language of the Normans and the Anglo-Saxons that the Normans conquered more than the Britons, who by this point have been twice marginalized. But what is important to the game is not that the language be accurate (which they are not; the translations are also dubious), but rather that it sound right to the audience. It is a conspicuous display of research and multiculturalism rather than accurate or critical research. Critical or rigorous research in the game would actually diminish the authority of the game because the game would not then match the comfortable centralized perspectives of the modern, western audience of the game. The Euro-centric medievalization is comfortable and “authentic” to the audience because it is comfortable—it keeps the medieval as safely other, an identity that the player can comfortably enter without challenging his own identity as modern, and does not present any counternarratives that assert distinct identities for the historical peoples whose names and stories are appropriated for the game. In the case of the language of the Britons’ units, the cultural harm done here is that it effectively erases the identity of the Britons and subsumes it into the identity of the peoples who later conquered them, even when portrayed pre-conquest, as in the case of having them speak Middle English; furthermore, because the game lacks the cultures that would actually speak Middle English or Old English, the Britons are forced to stand in for them in campaigns merely because of geographic proximity. Of course, the game cannot include every civilization, and the lack of Saxons or Normans would not be noteworthy were it not for the fact that so many of the campaigns are based on historical events in the history of England—but not necessarily of the Britons—so that the apparent attempt at decentralizing England’s role as empire-builder actually backfires and forces colonized civilizations to stand in for England in these simulations. Thus, William Wallace leads the modern Irish-speaking Celts in rebellion against the Britons, and (in the expansion) William of Normandy leads the Franks against the Goths and the Vikings at Hastings. Mercenaries and Norman knights look dubiously at the ships that wobble in the black, fog-choked sea. What man is this Duke William to put so many horses on leaky transports? William ignores their questioning glances and stares across the channel in the direction of England. Edward the Confessor is dead and now three men claim rulership of England. Harold he Saxon sits on the English throne and even now hastens to fortify his shores against two invasions. Here, the Normans and Saxons are accounted for in their historical roles. But, because of the limitations of the available civilizations in the game, when the actual gameplay starts there are no Normans or Saxons—there are instead Franks and Goths, respectively. If the Britons are to represent more generally “the British” then this seems a deliberate move to remove judgment about actual right to the Island of Britain by making all the claimants to the throne foreigners—but it also leaves Britain an unpopulated land for the claiming. The actual Britons have again been erased, not only subsumed into English (and more generally British) identity, but here actually erased from the land that they inhabited. Likewise, the Franks are being erased at the same time as the Britons, subsumed into more generally “the French”. The process here is clear: the game uses a close approximation based on geography, and has chosen the more antique names for the inhabitants of that geography, regardless of ethnicity or history. This is evident in the file names for the historical documents—the file name for the history of the Britons is “British”. However, it might have been more accurate for the game to have the player take on the “English” or the “British” rather than the “Britons”, since several of the scenarios require the presence of the English: William Wallace, Battle of Hastings, and the Battle of Agincourt. Likewise, it would be more accurate to have the French, rather than the Franks, in order to account for The Battle of Hastings, the Battle of Agincourt, and the Joan of Arc campaign. Almost none of the scenarios involve historically situated Franks or Britons. 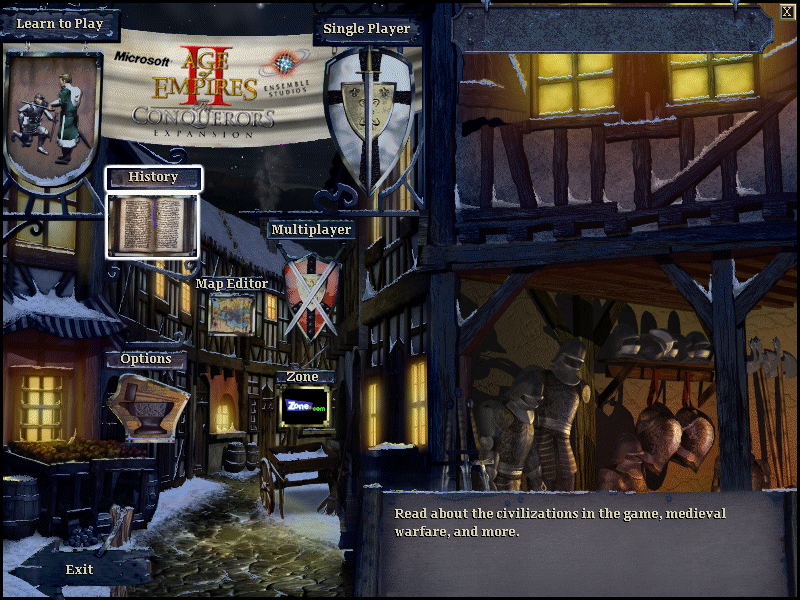 As part of the display of research, AoEII includes a “History” section, accessible from the main menu, in which players can “Read about the civilizations in the game, medieval warfare, and more.” In this section, the game makes recognition of the oversimplifications that are necessary from the exigencies of balanced gameplay, as its narratives recognize the points of contact between the erased civilizations. This would seem to ameliorate the erasures made for gameplay, but in many ways it perpetuates them. Furthermore, the sections on “medieval warfare and more” are, more precisely, about Western European warfare. In fact, it reads something like an old-fashioned 8th grade “world history” textbook with a conventional western bias. There are sections on the “Dark Ages”, on “Barbarian Invaders” and “The Fall of Rome” and finally on “Feudalism’s Decline” and the “Renaissance.” These are provided in the general history section, and do not work with the cultures outside of the Euro-centric deterministic view of history, such as the Aztecs or the Chinese, despite being lumped with the other civilizations. Thus, the history section, in its design, marginalizes non-Western European civilizations, even as it makes a tokenistic display of inclusivity by including a section on each playable civilization. In so doing, the game continues to erase the contexts and nuances of history, subsuming it all into a comfortable narrative of the Western descent and rise via a “dark ages” and a “renaissance”. Such a narrative affirms our present view of ourselves as progressive and advanced, above the warring civilizations that the game allows us to play-act for a while. Note: This post is a revision of part of a project developed for a class taught by Dr. Joshua Byron Smith at the University of Arkansas. I’d like to thank Dr. Smith for his help in preparing this post. Maybe it’s just because I never played as the Britons much (I preferred the much more historically generic “Vikings”), but I’m surprised that I never noticed that none of the scenarios that involve the English actually feature the Britons. The interplay between the desire for perceived historical authority and need for balanced gameplay created a number of really odd design choices in Age. Probably the most noticeable example were the “Eagle Warriors,” the somewhat ambiguous spear-wielding soldiers that could run as fast as a horse. It is interesting to see which historical compromises were accepted (conflating English and Britons, westernizing Asian cultures) and which were unacceptable (horses in the Americas). Nice to see tackling of some of the implied issues from seemingly striaghtforward games. There is some significant issues about who the player is in all this too: are we (at least) participant in tokenism by playing, or can we actually play the game in a critical method and still be playing? Can we enagage with the material presented in a non-Orientalism manner within the game’s strictures? I think a Marxist critical reading would also be a complementary analysis; I reckon there is as much tokenism there about ownership and social hierarchy. I understand your need of accuracy and compliance with history, you worry much about the influence of theses historical narratives and the campaign mission ones. Younger people might just not mind about it, and older people will not trust it as much as they would if they would be reading some trustworthy magazine or information on history. They don’t play aoe2 to learn history, basically. You must take it for what it is, just a game, despite that you’re right with the tokenism, and some labels or names that could have been more accurate. And it has been created so many years ago … but still played, because of the gameplay, maybe also because of the ability to play with your possible ancestors. 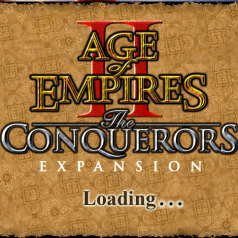 Still remastered and updated, either officially like aoe2 HD, or unofficially with expansions like AoE2 forgotten Empires (that have not an ‘official’ budget, so research about new civilizations implemented, for narratives, ‘token’ unique units or campaigns might be more unaccurate, as the main point is the technical one). Note that many indians, south americans, or people from ‘orient’ play Age of Empires 2 too now, not just europeans and americans. Accuracy and compliance aren’t really the issue here though: it is the replacement of a plurality of histories (and points of view) with a single narrative, and the items that do not fit with this narrative get scant attention. That’s not necessarily a criticism of it as a game, but more a note that we should be very, very careful about just what these narratives are saying about people. Whilst young people may not be learning about historical details via aoe2, the implied approach (that all societies become more civilised as time goes on, that societies are discrete, and the ‘best result’ is progress and scientific materialism, for instance) may stick with them. For instance, we may still enjoy looking at a Jean Leone Gerome painting like The Slave Market, but it is not really possible to accept many of the assumptions in it uncritically. The Franks do not speak modern french, but rather Langue d’oïl, spoken in northern France during the middle age.